Wink not only was in the snow today, but also on KGW Live @ 7pm tonight. I sent them via connecting on Twitter. Stephanie, Wink says your hair looks great, by the way. Damn it! And I thought that Mason was the only snow pooch. 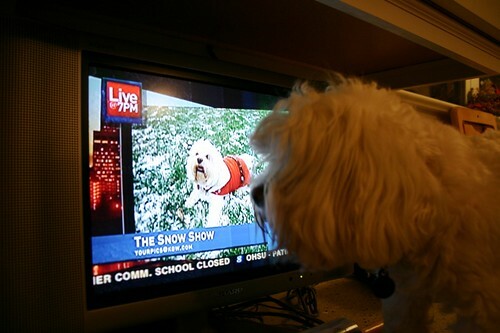 Dogs watching themselves on TV! Sweet! Does she sign autographs now? I saw her on TV! KGW is like family now. 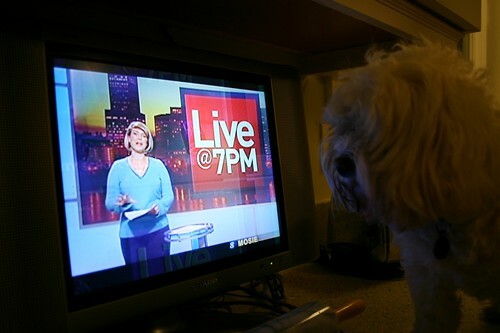 Never before have I watched the weather report with so much interest.